I’m sure that all of my fellow travellers can agree that it is definitely not the easiest thing to stay fit and healthy while travelling. With all of the temptations that arise and the abundance of must-try foods in each new place, it can be very difficult to stay on track! This is why I am sharing a few of the things that I do while travelling to help keep my body energized, happy and in shape! Trust me, these tips are easy changes to your travel routine and will make your worldly adventures even more fun. Body weight exercises are perfect for toning your full body and can be done anytime and anywhere, from your hotel room, to the beach, to even on board a boat. You can master a 10 minute full body workout with zero equipment and still be sweating and working those muscles, just as you would with weights. Plus, it is way more fun when travelling to workout in places other than the hotel gym! One of the quickest and easiest ways to burn some extra calories during your day is to opt for the stairs rather than the elevator or escalator. This is a great and easy way to tone and lift your booty and to build up those calves! While traveling, there is so much to see and do that walking is usually the most popular option. However, sometimes bus tours, taxis, or taking public transit within a city may seem more appealing to cover the greatest number of sites. But trust me, by exploring on foot you will cover ALOT more ground than you think you will. Always opt for walking over other options, since you will be able to see and enjoy so much more along the way! 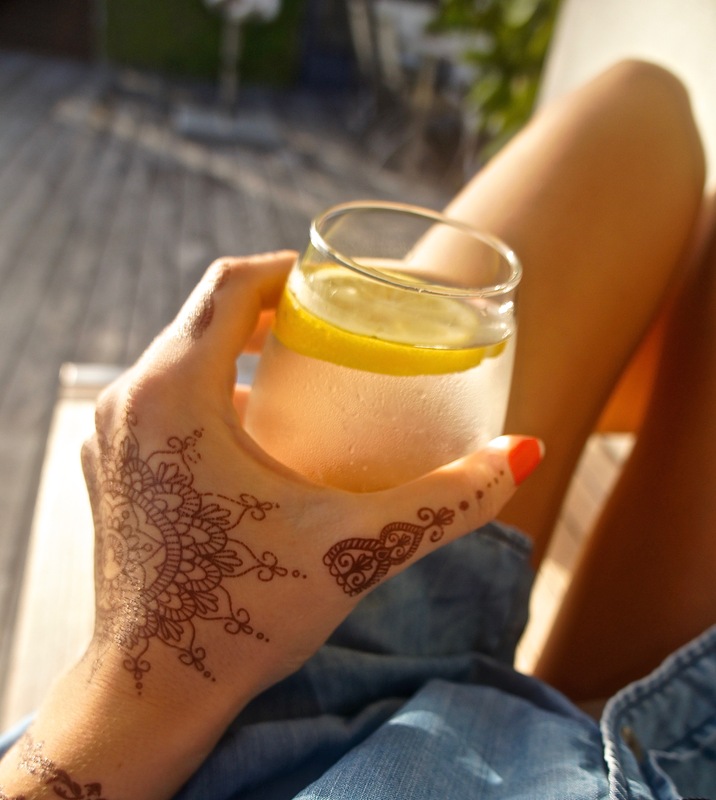 Always make sure that you are hydrating with lots of water throughout your day! While other drinks can be super tempting, try to take it slow on the cocktails, wine, beer, etc. as they can really add up if you are travelling for a long period of time. 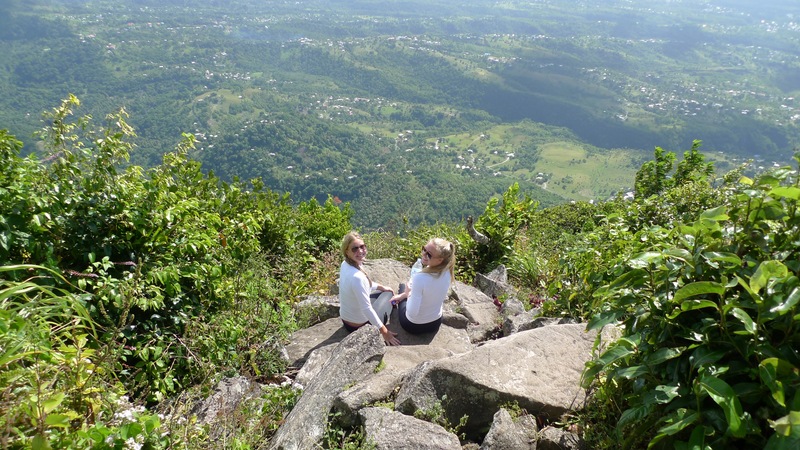 Always say YES to hiking, as it is an amazing form of challenging exercise! There are so many distractions while hiking new and beautiful places, that it won’t even feel like you are working out. If you are near the ocean, or even a pool, use this to your advantage! There are so many fun activities that you can do in the water, from bobbing in the waves to snorkelling to casual laps in the pool, these are all great and fun ways of adding exercise into your day. 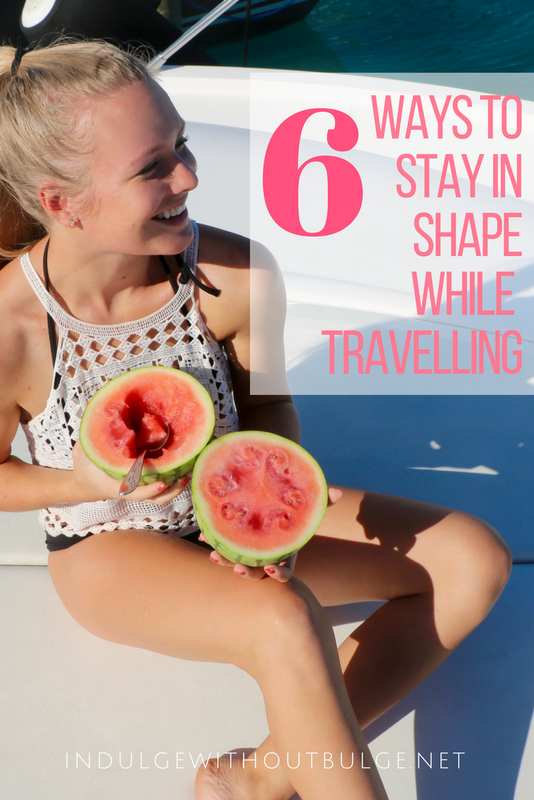 I hope these tips will help you to be the fittest you that you can be while travelling! Stay tuned for new beach workout videos going up on my YouTube channel next week! Hi I am always amazed about traveling and being in shape, i love your blog I love to travel and eat healthy lifestyle. Thank you! I hope that your travels have been active and health infused so far this year! Love this, particularly the body weight exercise ideas! Nice article, thanks for sharing! I’m all for body weight exercises and just wrote a post myself about something similar. I also wrote how I use my backpack as a dumbbell while walking!